This works on all but one laptop. 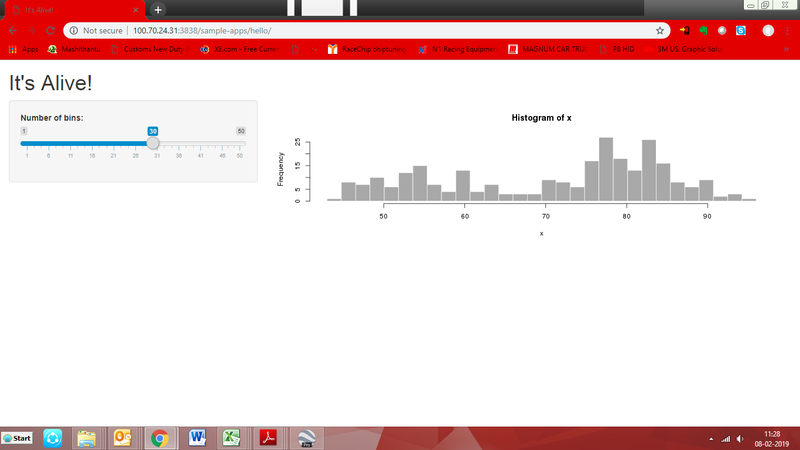 On that laptop, the slider input displays but the histogram doesn't, as shown in the screen below. Notice the blank space on the right. This behaviour is exhibited for other apps also on this same laptop: any UI element served using the "output$..." does not display. All the laptops are running Windows 8.1 Pro. 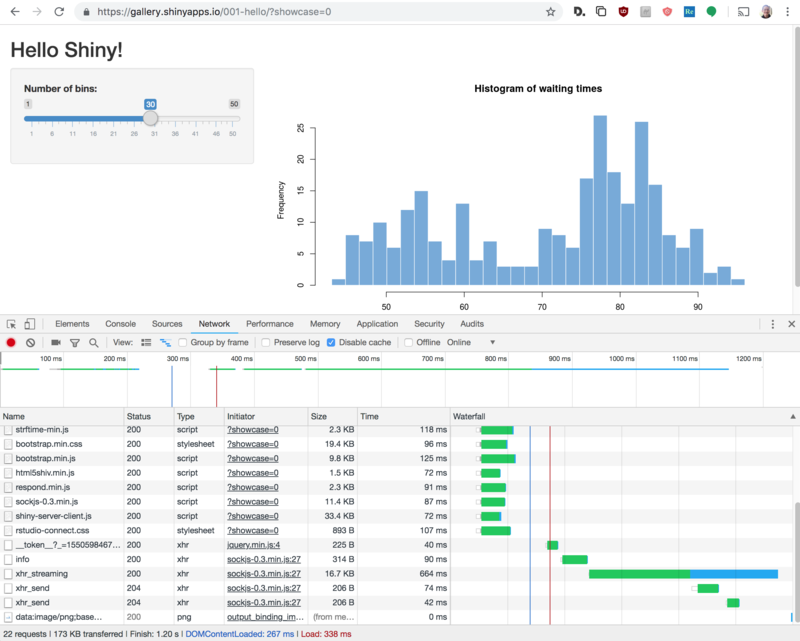 The only possible difference is that the errant laptop was used for the local testing of our own shiny app ( launched from RStudio). Has anyone else faced this problem? What could be the issue here? Do you have a web proxy configured on the Windows machine that is having problems? Thanks for your response, Winston. The app is being accessed on the intranet, so I guess the proxy server should not be in the picture. 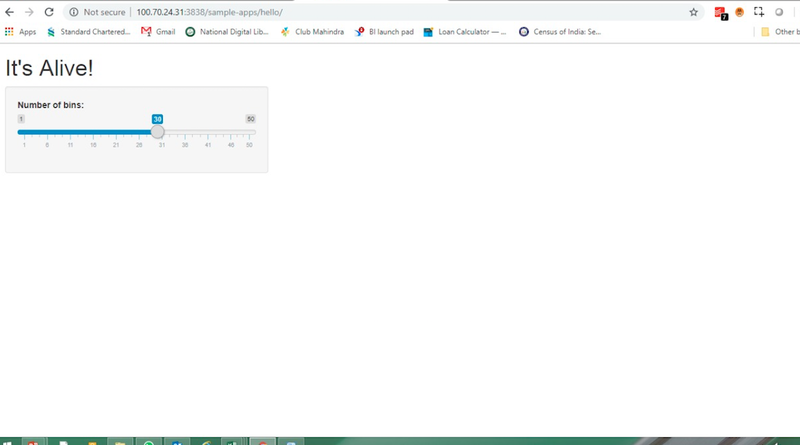 That said, there is a proxy server configured on the laptop (the same proxy server is configured on all laptops) and it seems to working fine, since internet access is not impacted. BTW, the same issue crops up when using Firefox on the errant laptop. It sounds like the output value simply isn't being received by the browser. It will record all the messages sent between the R process and the browser. Hopefully this will help diagnose the problem.